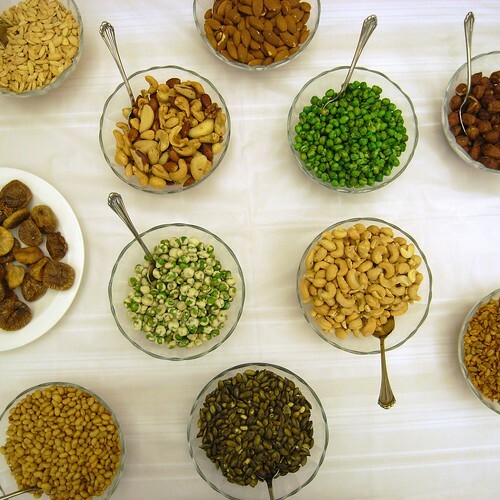 Nuts and Seeds, originally uploaded by Eric Jeschke. Great composition…the colors, textures, arrangement of bowls and the placement/direction of spoons! Even the four central bowls have balance with greens opposing (opposite corners) browns in their content. I like! Something about the arrangement caught my eye.